Winner of the just concluded PDP Senatorial Primaries for Plateau North, Barr. 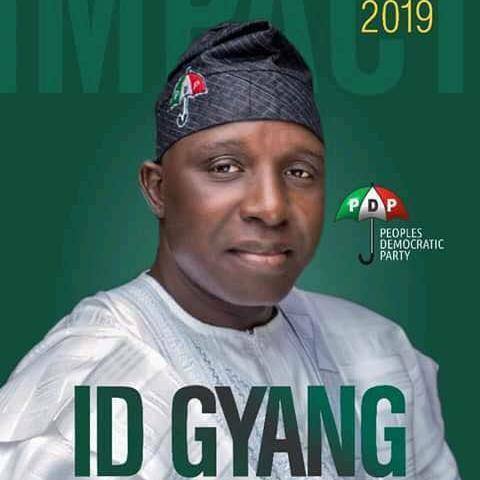 Istifanus Gyang says he is determined to give credible and result oriented representation as an "irresistible" voice for the zone in the Nigerian National Assembly. According to him, his intention is to "replicate and expand" across Plateau North, the successes he has recorded in Barkin/Ladi-Riyom Federal Constituency which he presently represents in the lower chambers of the National Assembly. Speaking shortly after being declared winner of the Tuesday Primary elections in Jos, Mr. Gyang vowed to equally use the lessons learned from the last minute compromise by one of his strongest opponents, Francis Bot to harmonize the diversities in the zone for the common good of the people. He however appreciated the present Senator of the zone, Jonah Jang for facilitating the reconciliation process that led to Mr. Bot stepping down for him. He equally saluted Mr. Bot as well as his only challenger, Chris Giwa for their courage and "Democratic sportsmanship". Gyang won his election with 442 votes to beat his rival, Chris Giwa who polled 291 votes. A total of 752 delegates were shortlisted for the elections but only 743 were accredited. Still those that voted were 733 out of which 7 invalid votes were recorded. The elections were conducted under the supervision of Major. General Yakubu Usman (rtd) who was equally praised the aspirants for the 'peaceful' conduct of the elections.